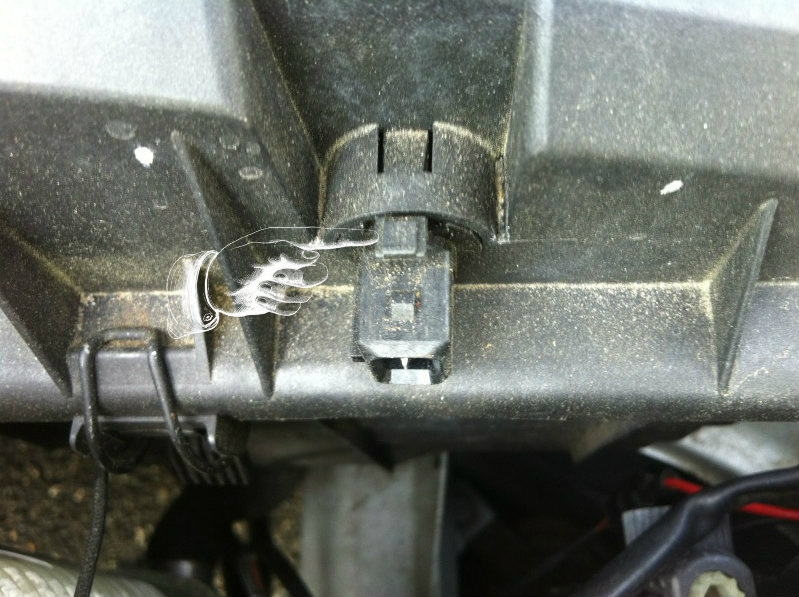 Push in the metal spring on the left and pull to disconnect the wiring harness. 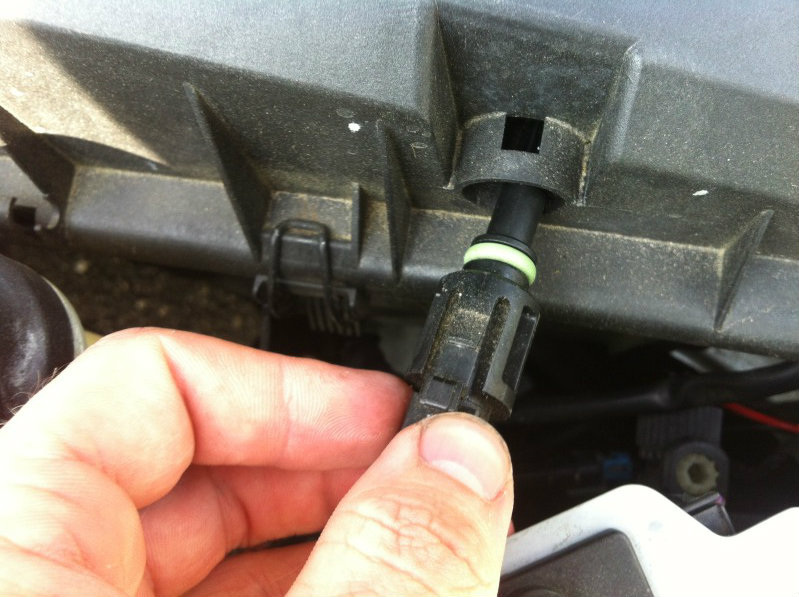 Push in the clip on the top of the sensor and pull it to remove. 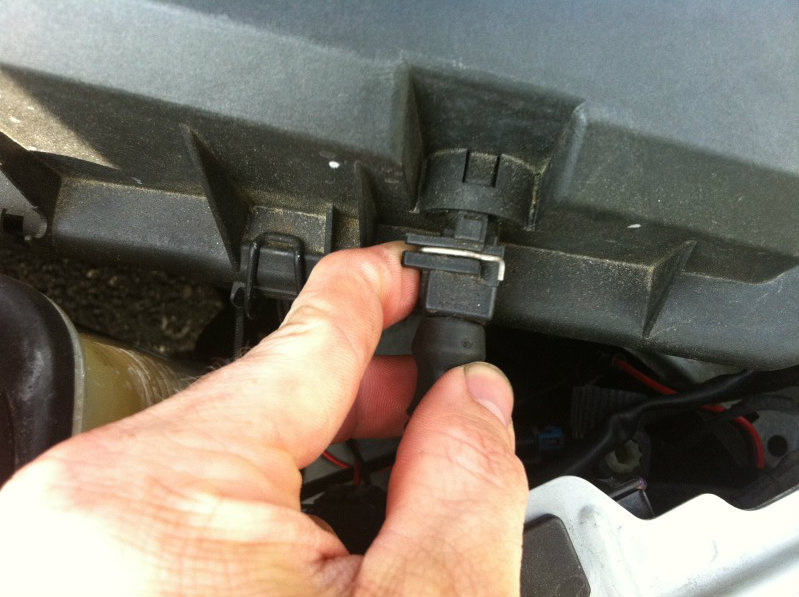 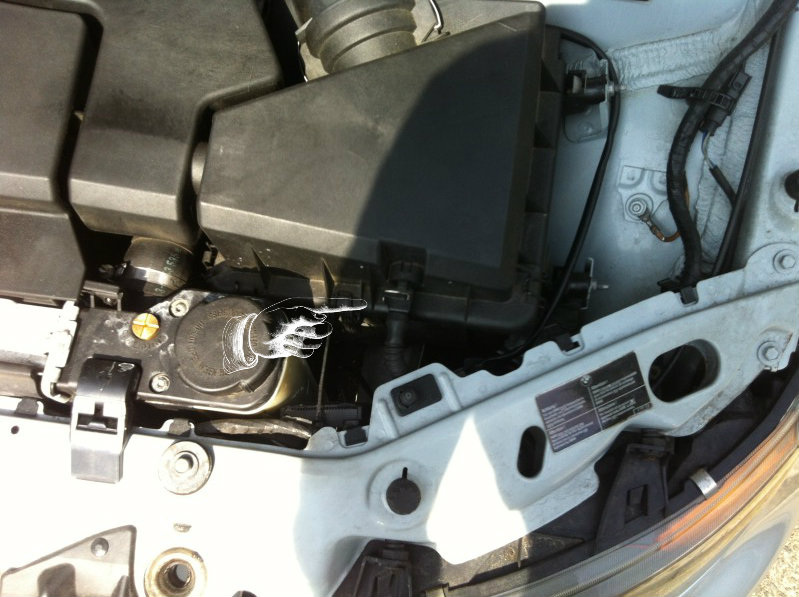 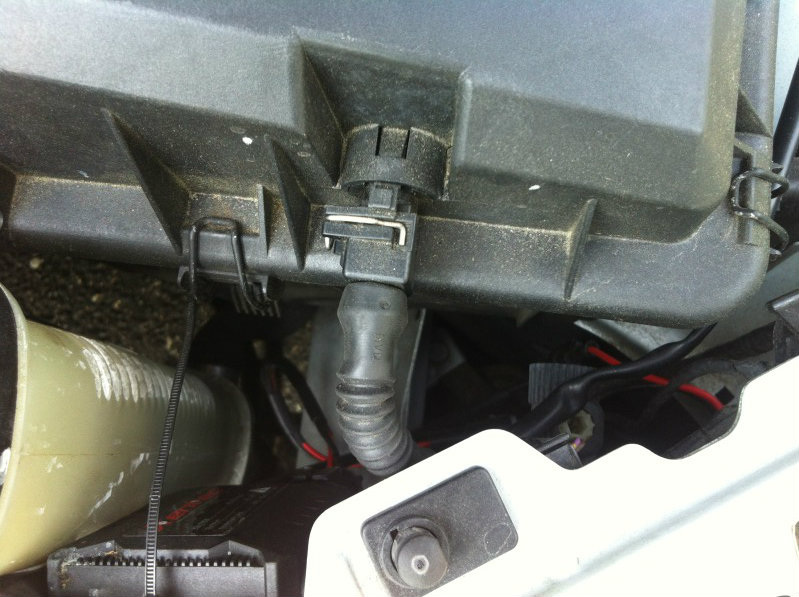 Remove the old sensor and install a new one; Take the time to clean up your air box area.